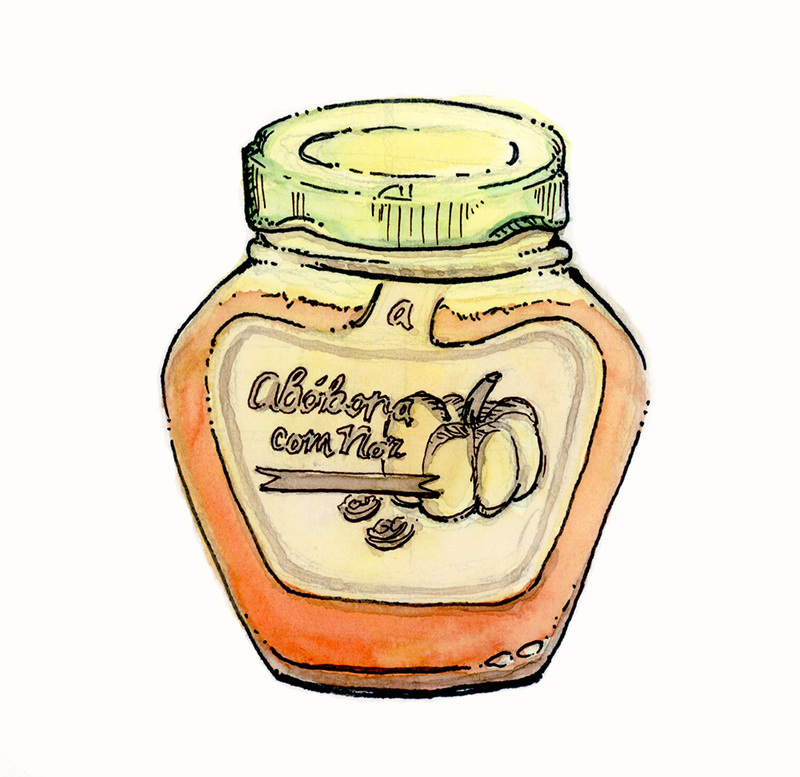 My quick sketch of Abobora com Noz, which is a pumpkin jam with nuts. I picked up at the local Pingo Doce here in Lisbon close to our rented house. Pumpkin jam, or abobora, is a very common Portuguese spread here. It can be smooth or chunky.